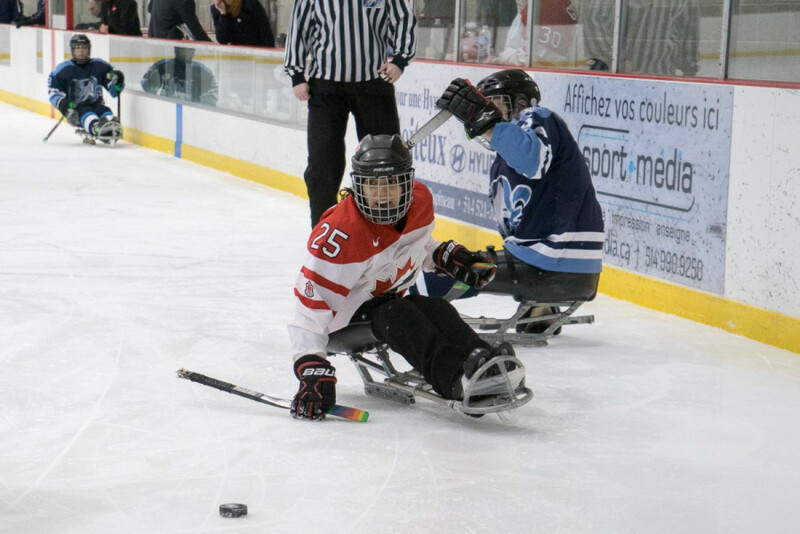 The Women’s Sledge Hockey of Canada are setting up ice times in a bid to encourage local female players to develop their skills in the sport. By creating a new mentoring program they hope to help spread the women’s game across Canada. It’s an opportunity that introduces a space exclusively for women to train and practice with the national team. The first mentorship session started in Montreal last weekend, marking the first time the team was brought together since the women’s national championships in the fall, and will continue across Canada, including Alberta and Ontario. Tara Chisholm, Canada’s women’s sledge hockey coach, said that the sessions won’t be run by an able body coach, rather, it will be a peer to peer mentorship. The sport is a passion for team Canada player for Veronique Major. She can’t help but smile when she talks about Sledge Hockey. Being able to promote the sport first hand on the ice is something she is proud of. “I think it’s important to give us the privilege to be able […] to improve and to get taken seriously,” she said. The objective for the initiative is “women leading women,” according to Janice Coulter, President of The Women’s Sledge Hockey of Canada. The organization wants to give more opportunities for women to discover a new sport, and hopefully, develop a passion for it as well as create opportunities to play in all female environments. “It’s an environment that, for some women especially in our sport, don’t get to experience it at all,” said Chisholm. While the mentorship program is an initiative that will be prominent over the upcoming months, team Canada also followed the peer to peer practices with training sessions of their own. The team is also preparing for the upcoming world cup of women’s sledge hockey in May, taking place in Ostrava, Czech Republic. For Major, this won’t be her first international competition. Major and her teammates are focused on preparing for the upcoming championships. “We’re looking forward to [setting up] the strategies […] and improve our game,” she said.